Maple Ridge man Chris Caverly was only 30 years old when he was diagnosed with stomach cancer in 1997. A new dad, he had surgery and underwent three months of chemotherapy, only to be told it would be a “miracle” if he survived – and he would never have children again. Three years on, he defied the doctors. Cancer-free, he and wife Sara, had a second child. Some 13 years later, he was diagnosed with kidney cancer, but once again, he is in remission, as is his sister, who has survived breast cancer. Sadly, while Caverly and his sister may have survived, both their parents succumbed to cancer in the last six years. Their mother battled four different cancers in the end. Now the Caverlys are sharing their story ahead of the 25th Relay For Life in Coquitlam on June 4, just one of many annual Relays fundraising for the Canadian Cancer Society. Throughout their ordeal, the Caverleys took part in their local Relay for Life and raised almost $160,000 towards the fight against cancer over the last nine years. “Chris’ favourite memory is participating in the survivor lap with his sister and mom,” said Sara Caverly, who explains that Relay gave them a chance to give back. Coquitlam’s Relay for Life was the first in the country when it began 25 years ago, and is now the largest grossing Relay in Canada. 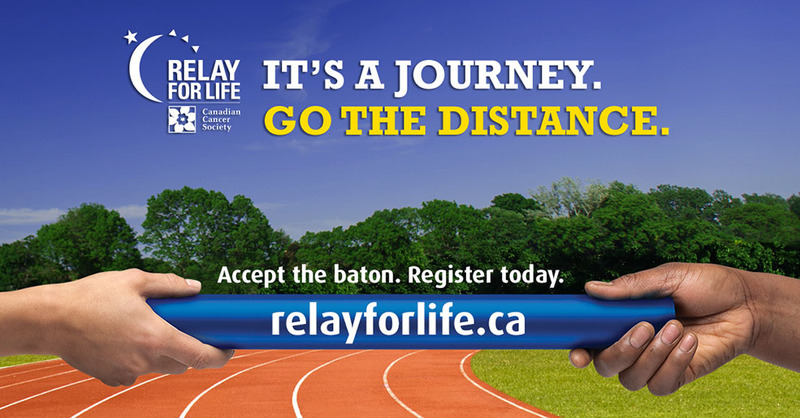 This year Relay For Life is aiming to raise around $30 million for the Canadian Cancer Society across the country. When: June 4, from 10 a.m. to 10 p.m. When: June 11, from 11 a.m. to 11 p.m. When: June 18, from 4 p.m. to 10 p.m.